Ideal for those with red and irritated, post-procedure skin. 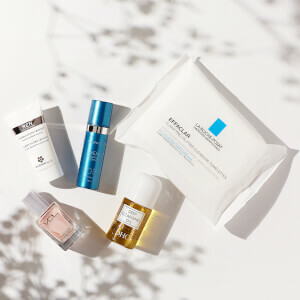 Smooth onto skin day or night after cleansing, toning and applying any PCA SKIN treatment serums. Apply a small amount and allow it to penetrate. During the day, follow with appropriate PCA SKIN broad-spectrum SPF product. Chasteberry fruit extract hydrates the skin. Soy isoflavones are a rich source of the antioxidant genistein that help to improve the overall appearance of aging skin. Olive fruit oil is a gentle emollient and a high source of antioxidant polyphenols. Wheat germ oil is an effective emollient with a high percentage of the omega-6 essential fatty acid gamma linolenic acid (GLA) and vitamin E.
Water/Aqua/Eau, Olea Europaea (Olive) Fruit Oil, Glycerin, Caprylic/Capric Triglyceride, Coco-Caprylate/Caprate, Triticum Vulgare (Wheat) Germ Oil, Cetearyl Glucoside, Cetearyl Alcohol, Lecithin, Soy Isoflavones, Polysorbate 80, Alcohol Denat., Xanthan Gum, Glyceryl Stearate, Hydrolyzed Milk Protein, Allantoin, Vitex Agnus Castus Extract, Citrus Medica Limonum (Lemon) Peel Oil, Benzyl Alcohol, Aloe Barbadensis Leaf Juice Powder, Prunus Armeniaca (Apricot) Kernel Oil, Fructooligosaccharides, 1,2-Hexanediol, Caprylyl Glycol, Tropolone, Ammonium Acryloyldimethyltaurate/VP Copolymer, Potassium Sorbate, Phenoxyethanol. After a peel, this makes your face feel really silky and helps it heal faster. This product works great to soothe your skin and rehydrate . Great light weight moisturizer for a great price!! Product stays dewy and has a great fragrance that does not cause irritation. Def give this product a try before spending $60 plus on a product of equal quality. I was a little nervous about a product referred to as "balm" being included in an oily skin care line. But this is the lightest weight, most soothing moisturizer I've ever tried. Absorbs beautifully. No greasiness. Dermatologist recommended PCA 20 years ago & I've never been disappointed. I've tried other brands but I always go back to PCA - the best product for the best price. One of the great moisturizers on the market & not that expensive compared to others. Have used this cream for years & would never be without it. Makes your face feel so smooth & silky & feels like heaven when applying on dry skin. Love it! I loved the feel and scent of this product.. but 6 hours after I applied it I had a severe allergic reaction and I broke out in tiny blisters. I know many people who love and swear by this stuff but I won't be using it again. My skin is just too sensitive to the fragrance used. 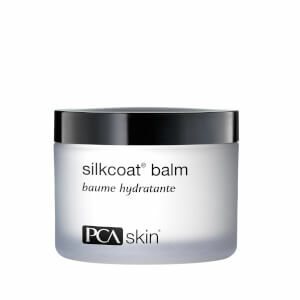 I switched to the PCA Silk Coat Balm and that has given me no problems. I am in my early 60's and live in the dry Arizona desert climate. I use this nightly to keep my skin moisturized as my skin cells rejuvenate while i'm sleeping. It is nice & creamy & my skin is soft in the morning! When I use other creams that are not as creamy, my skin shows flakes. This product feels great on your skin. I love this product! I have very sensitive skin and this relieves the irritation. It goes on evenly and isn't tacky. And it smells so good.